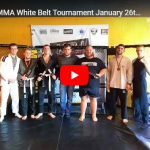 Team GAMMA, Greenville Academy of Mixed Martial Arts, White belts Competed in the In House White Belt Tournament Combat Club. 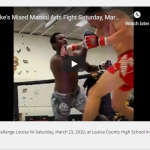 Jacksonville NC...... Greenville Academy of Mixed Martial Arts is a Full-Service Martial Arts Academy Specializing in Brazilian Jiu-Jitsu, Gracie Jiu-Jitsu and Mixed Martial Arts... 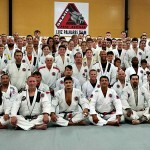 Team GAMMA has been training top level athletes for 20 years..
We had a wonderful time in Jacksonville Florida at the 3rd Annual Luiz Palhares Jiu-Jitsu Network Training, If you didn't make it this year, sorry you missed out, I hope next year we will have more of our students attend. Oleksander Alex Humen at the Florida Grand Prix at March 2015 Greenville Academy Mixed Martial Arts, Eastern NC MMA, Gracie Jiu-Jitsu. Jay Speight Purple Belt Under Luiz Palhares, from Greenville NC Instuctor at Team GAMMA Greenville Academy Mixed Martial Arts. 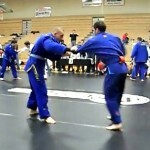 Blue belt in BJJ against a Black belt in BJJ in NO-GI Finals. US Grappling. This is one of our blue belts, Oleksander Alex Humen, competing in the advance division at a US Grappling in Greensboro NC, on 1-31-2015. It was a really tough division, with a brown belt and a two stripe black belt. This Match is the finals against the Black Belt. You can see Brown Belt Match HERE. Oleksander Alex Humen did really well at the tournament Saturday. Placing One Gold and one Bronze. Take a look at his matches. Alex Humen and Jay Speight did really well at the tournament Saturday. Taking home two golds one silver and one bronze metals. Take a look at their matches. A good day for these two competitors, they were grappling all day long.